Wrightstyle, the leading UK steel and aluminium glazing company, supplies its fire-rated systems internationally. As Christmas approaches, Tim Kempster, the company’s managing director, warns that globalisation also has its dark side. Fire safety is a subject that Wrightstyle knows quite a lot about. Our advanced systems are specified internationally – from shopping centres in Beirut to medical facilities in Hong Kong, and from a memorial chapel in the US to Olympic projects in London and Athens. We are therefore aware of the huge variation in fire regulations between different jurisdictions, and the patchy way that those regulations are sometimes monitored and enforced. We have sometimes felt compelled to raise some of those concerns, including with the UK Government when we felt that some internal fire doors were being wrongly classified as fire-safe. Perhaps most notably, we changed our fire certification methodology in one Middle Eastern country, because some architects were taking project-specific Wrightstyle certificates, copying them, and then applying them on other projects for which the fire test certificate might not be appropriate. We have also written about the appalling textile factory tragedies in Bangladesh and elsewhere. Our thirst for cheap T-shirts has in too many cases led factory owners and operators to cut corners. The Tanzeen fashion factory fire in 2012 is an obvious example, killing more than 100 workers and injuring 200 more or, worse, the 2013 collapse of the Rana Plaza factory building with the loss of more than 1,000 people. But these are just the industrial fires and building tragedies that make the news. In a report published at the end of 2013 by international labour campaigners, nearly 800 people were injured in garment and textile fires in Bangladesh in the previous 12 months. But as Christmas approaches, it is also worth remembering the 21st anniversary of the Kader Industrial Toy Company fire in Thailand. In that blaze, nearly 200 people lost their lives, and almost 500 were injured. There were inadequate fire extinguishers or alarms, fire escapes couldn’t cope and some exits had been locked shut. Nor was there a sprinkler system and the building was constructed with uninsulated steel, which quickly led to building collapse. Like most catastrophic fires, its likely cause was something minor, most likely a spark from an electrical short-circuit. Before Kader, the worst factory blaze had been in the US. In New York’s Shirtwaist plant in 1911, nearly 150 garment workers were killed. However, despite some similarities between the two fires, there is one glaring difference. 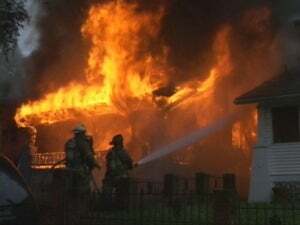 The New York fire directly led to new laws on building access and egress, fireproofing requirements, the availability of fire extinguishers, and automatic sprinklers. The Thailand fire happened in a jurisdiction where fire regulations had been ignored because official monitoring was inadequate. It comes down to effective fire and building regulations being robustly applied, everything from building design and construction to tested alarms and suppression systems, such as sprinklers. But containment is also a key factor to prevent the fire spreading from its original location. Those protective barriers, often external curtain walling or internal glass screens, also serve to provide escape routes for the building’s occupants, a safety strategy lacking in many Asian fire tragedies in recent years. At Wrightstyle, we have invested significantly in research and design in both our internal and external systems such as curtain walling, fire screens and fire doors, developing technically-advanced products and systems that have overcome the limitations inherent in the glass itself. In developing countries, the safety dynamic is changing – largely driven by large corporations implementing better supply chain management, and insisting on more stringent safe and ethical working conditions. The best-known accreditation body is WRAP (Worldwide Responsible Apparel Production). But the demands of Western retailers and the buying public are largely cost-driven, and squaring the circle of price, worker safety and the wider environment is a constant challenge. As Christmas approaches, and textile factories across Asia step up production, let’s hope that fire regulations will be better served by stricter monitoring and that, inch by inch, the lessons of fire safety become embedded in more jurisdictions worldwide.